The Leeo Smart Alert is essentially a nightlight but it does so much more than blaze a path to your bathroom. It also saves homes from potential fires by detecting noise from smoke detectors. If your standard smoke detector goes off, the Leeo Smart Alert sends you a notification on your iPhone. If for some reason you are separated from your phone, it sends a notification to an emergency contact person you previously set up. Most of the time, a smoke alarm is triggered by nothing more dangerous than a burnt pizza and you will be at home already to shut off the shrieking. But on the off chance there is an actual fire and you are away from home, Leeo Smart Alert is a great first responder. It also detects carbon monoxide. 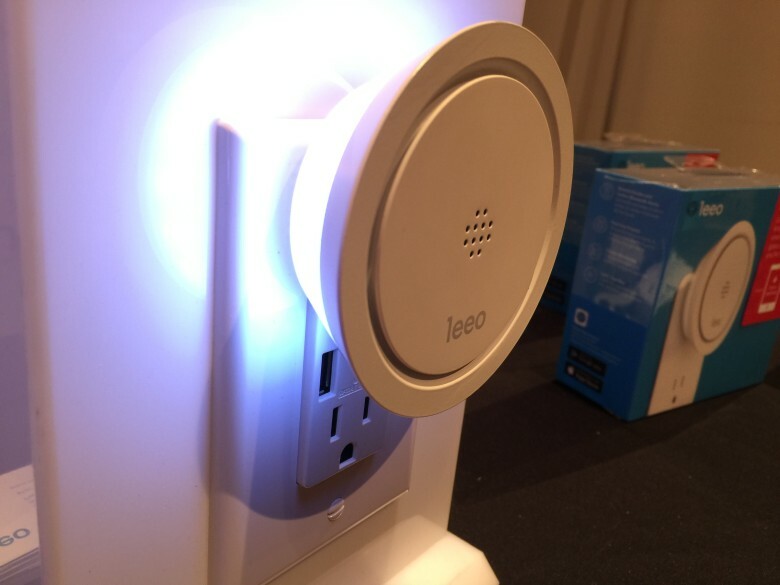 Simply plug the Leeo Smart Alert in to any outlet, download the app to connect it to your home, and select what color nightlight you want. There’s millions to choose from. The Leeo Smart Alert is available from Best Buy and Amazon for $49.99. Listen below to Leeo Smart Alert co-founder Adam Gettings explain how it works.